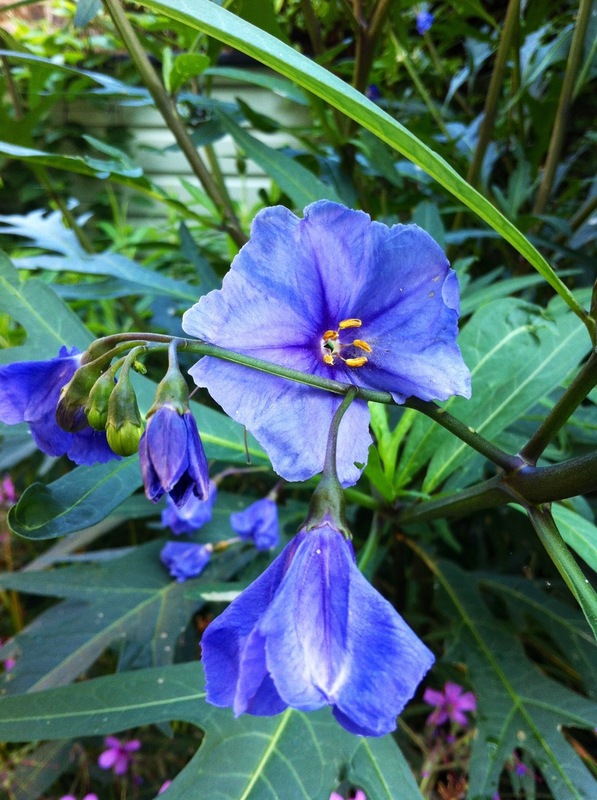 In honour of Mr Murray’s 3 set victory today, the Wimbledon club colours reflected in the flowers of Solanum laciniatum. Well done Andy! Of course our media is now completely Andy Murray focused. I can’t see it lasting!